Which way to the beach, you lucky bastards? There was a moment, fifteen years ago, when I knew I had chosen Pemberton and I wouldn’t unchoose it. Who knows what prompted it, or what the hell he meant, but the delightful absurdity sold me for good. 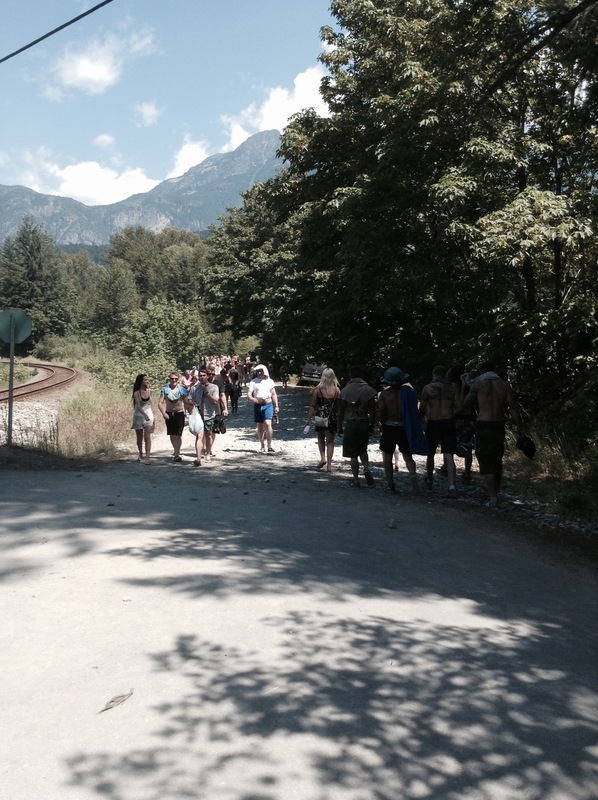 Head-turningly absurd, too, were the swarms of millennial beach-seekers in my little mountain town this weekend, flip-flopping along the highway, escaping the Pemberton Festival grounds in search of shade and water. They swarmed the tots’ water park, turning it into an outdoor shower complex, they lined up outside McDonald’s in their bikinis, descended upon the Lil’wat Gas Station, and discovered beaches beside glacial rivers that struck me as dubious swimming holes. But hey. Water is water, and in the desert of a mid-July Pemberton morning, any oasis will do. 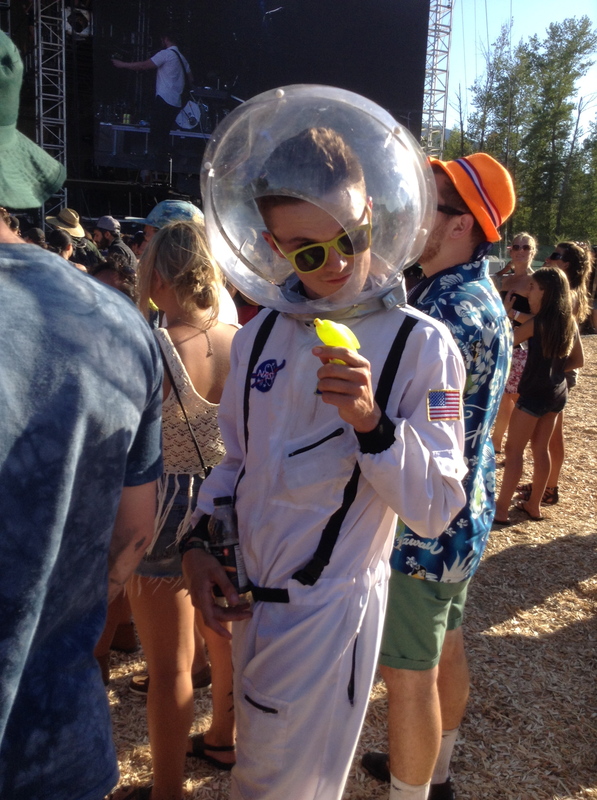 Thursday noon, pedaling my bike into town from One Mile Lake, two Festival waifs flagged me down. They hadn’t spotted the lake. They were contemplating the opaque meltwater churning down Pemberton Creek, desperate for a swim, but (intelligently) second-guessed themselves. “Is there a beach anywhere around here?” they asked as I rode up. The Festivalians fell immediately in love with me when they discovered that their sought-for oasis was literally 100 steps away. “Thank you so much! Have a beautiful day,” they effused. “No, have a beautiful LIFE.” And I thought, the old Pemberton magic has done it again. All it seems to take is the suggestion of a beach. 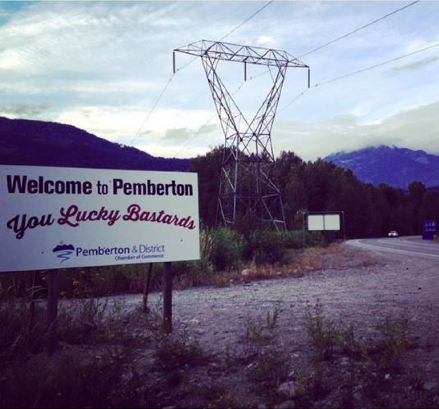 Admittedly, while helpful and G-rated, it’s a lot more forgettable than “Welcome to Pemberton, You Lucky Bastards” which was the risqué rock-festival-esque campaign the Chamber put together in one frantic month. I grew up in Australia, so it takes more than a bit of salty language to make my eyes water. The Facebook finger-shaking about the Chamber’s Lucky Bastards welcome kind of surprised me, though. “What’s the town coming to?” said one shocked grocery store client on Thursday when the shirts were first unveiled on the entire 64 person staff. Funny times when the organisation traditionally toeing the most staid, status quo line in a community is being tut-tutted by the masses for not being conservative enough. Cooked up and rolled out in about 30 days by an all-volunteer board, executed entirely by volunteers (including Chamber Pres Garth Phare’s wife and 14 year old son who hand-dug the postholes for the Welcome signs), the campaign was funded by contributions from local businesses to the tune of $5800. 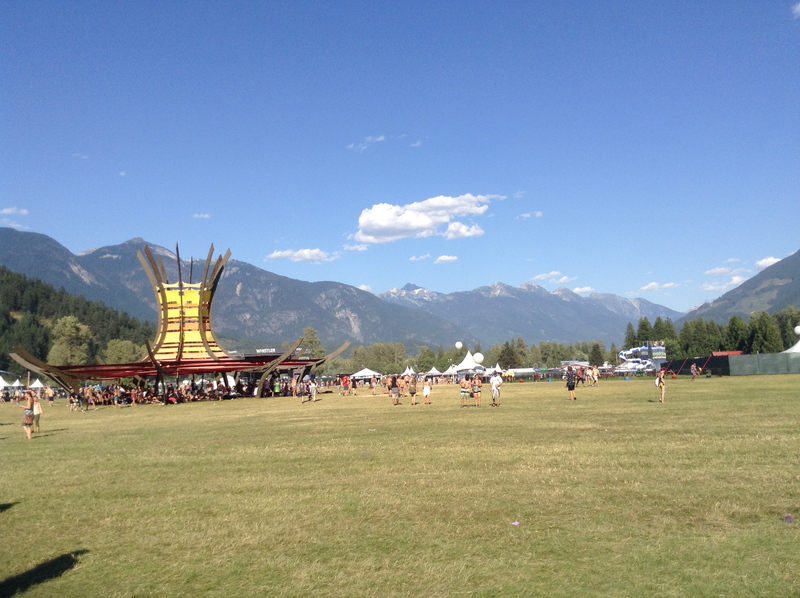 That got signs, tshirts and 5000 tattoos – the entire agenda being for the Chamber to have a booth at the Festival that would make Festival goers feel welcome in Pemberton, and encourage them to head into town via the $2/head shuttle that the Chamber also put together. Did it resonate? Was it too confusing? Too crude? Was it edgy enough to lure millennials in short shorts and full sleeve tattoos to town to spend a bit of money, gain a positive impression, and maybe consider coming back one day, once they’ve graduated, gotten hitched and find themselves hankering to have babies and grow vegetables? To a marketer, that actually matters a lot less than: are you talking about it? If your final opinion is, “if that’s all they could afford, it would have been better if they’d just done nothing”, then be careful. You might actually get what you ask for. Haters gonna hate. Creators have to iterate. And nothing ever happens unless someone takes a risk. I, for one, am kind of stoked to live in a town where the Chamber thinks that 20 year olds are worth talking to. They are, after all, the future. Hit or miss, this Chamber made the effort. Hell, I might even become a member. Why not join the bastards. Luck, after all, is what you do with what you’ve got. Beaches and all.